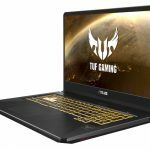 Shopping for a laptop with discrete graphics used to mean buying a gaming laptop or a mobile workstation. Even if you were more into video editing than video games, beefy and black with an ominous design was the overarching theme for really powerful laptops. We’ve come a long way since those days, though. 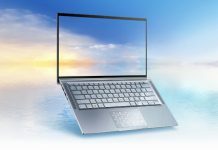 Power users have way more options when it comes to stylish laptops geared for heavier workloads, like content creation and 3D modeling. But even now, those types of computers are typically more substantial in size than the razor-thin ultraportables that dominate coffee shops and airplane cabins. What’s more, you’re pretty much stuck with the standard laptop form factor, which limits how you can work. Convertible 2-in-1 laptops offer a ton of flexibility for working in confined spaces and for pen-based input, but they usually prioritize size and weight over performance because they need to do double duty as a tablet and laptop. When the goal is to make everything as light and compact as possible, fitting in more powerful components and and their required thermal solutions can be difficult, but that doesn’t mean it’s impossible. 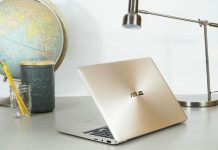 The new ZenBook Flip 14 UX461UN convertible ultrabook is proof that you can squeeze discrete graphics and a quad core CPU into a 2-in-1 laptop. Based on Intel’s 8th generation Kaby Lake-R CPU paired with a discrete NVIDIA GeForce MX150 GPU, the Flip 14 is primed for real work on the road, and its convertible form factor is complemented by a bundled ASUS Pen and for artistic sketches and more natural note taking. Though convertibles are designed to fit into any scenario, you can usually pick out their function-over-form from a mile away. They tend to be preoccupied with seamless transitions; style just isn’t a priority, and wacky hinges and flapping keyboard covers are the worst offenders. 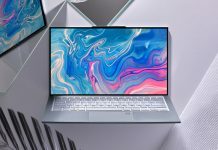 But the Flip 14 is something of a chameleon, hiding its versatile form factor beneath a subtle design that blends in seamlessly with the rest of our ZenBook laptops. Like its siblings, the Flip 14 boasts a sleek body that’s understated yet stylish, but it has a unique look that’s all its own. Rather than being draped in our usual Quartz Grey, the UX461UN is colored in a smokey Metallic Grey. The metal lid is outlined with shiny chamfered edges that offset the repeating circles that radiate outward from the center like ripples in a pond. 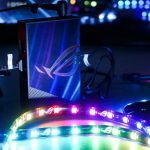 Right in the middle of the lid is the ASUS logo. Instead of the usual reflective silver, it’s a glossy black that matches the shadowy aesthetic of the rest of the laptop. It stays dark when the laptop is open, so you can stealthily work away in the corner or on an overnight flight without the lid’s beacon of productivity giving you away. There are a couple of visual cues that allude to the Flip’s versatility and power. 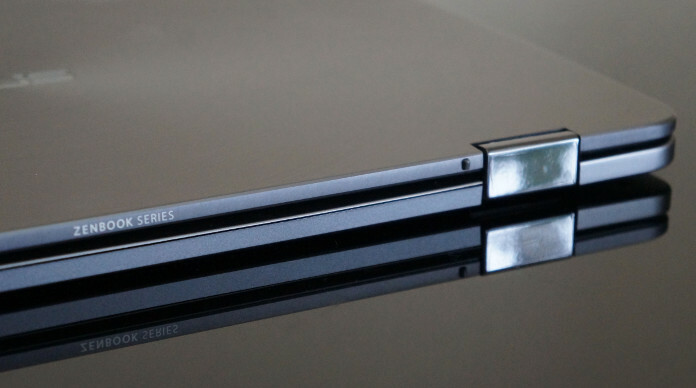 The hinges that allow the screen to flip 360° into tablet mode match the logo and shine like black Tahitian pearls embedded in the spine. They sit flush with the laptop’s edge and don’t add any bulk. There’s also a power button and volume rocker on the left edge. Rather than requiring you to start every session in laptop mode, these buttons allow you to adjust volume and turn the screen on and off, and they’re easy to find by feel alone. Finally, you’ll notice a vent just next to the buttons on the side, as well as a couple more on the bottom of the laptop. Together, they help the UX461UN stay cool when it’s fully loaded. 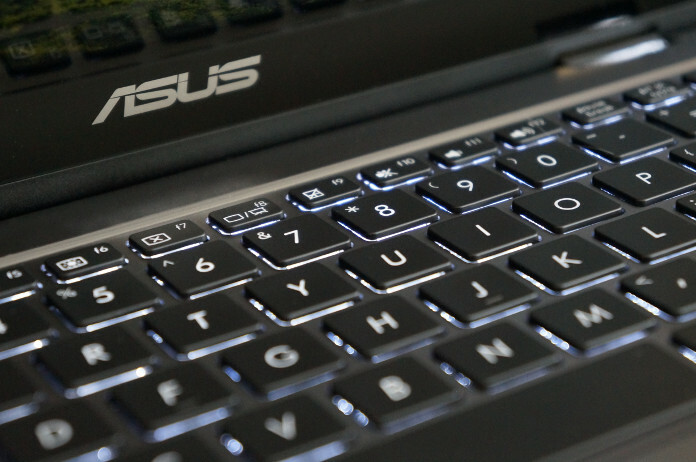 Outside of these small details, the UX461UN looks like any other high-end ultrabook. Despite the vent and physical buttons dominating the left side, you’re not left wanting for ports. Two USB Type-A ports are available for connecting a mouse or plugging in old-timey USB sticks. 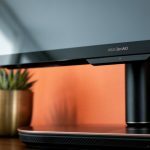 The right side features an HDMI port for connecting to your monitor when you get back to the office, and the MicroSD card slot that makes transferring photos from your phone a snap. The Flip also has a reversible USB Type-C port for newer peripherals, as well as the requisite AC power and audio jacks. While lots of convertibles go for smaller 10” or 11” screens to cut down on size, the Flip has a roomy 14” Full HD display that’s big enough to comfortably work on spreadsheets in Excel. Narrow side bezels make for an expansive canvas in tablet mode, while the thicker top and bottom bezels give you something to hold onto while you watch movies or mark up documents with the stylus. 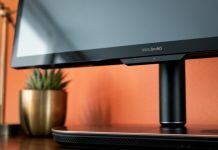 Full coverage of the sRGB color gamut shows every hue as you edit pictures, and wide 178° viewing angles keep colors bright and vivid whether you’re sharing the screen to watch movies with a friend or presenting to a group in tent mode. The Flip measures a half inch at its thickest point, and at 3.3 lbs is light enough to tuck under your arm or stash in your hand luggage. 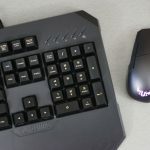 Lift the lid and you’ll find a full-size backlit keyboard with three levels of brightness for dark airplane cabins or late night work sessions. Though lots of convertibles suffer from mushy, shallow keyboards, that’s not a problem here. A generous 1.4 mm of travel makes for comfortable typing, and the keys have a matte texture that adds some grippy traction as you tippity-tap away. The bundled ASUS Pen offers an alternative method of input for times where you need more than QWERTY keys and your ABCs. With 1,024 points of pressure sensitivity, it allows you to doodle out diagrams, jot notes in the margins, and even mark up documents. The UX461UN’s 14” display is just a smidgen taller than a legal pad, so furious note takers don’t need to worry about filling up the page with just a few sentences. The UX461 is beautiful on the outside, but beneath its sophisticated surface lies raw power rarely found in ultrabooks this thin and light. Like our top-of-the-line ZenBook 3 Deluxe, it features Intel’s Core i7-8550U processor with a maximum Turbo clock of 4GHz. For its 8th gen CPUs, Intel doubled the core count for the power efficient U-series, delivering four cores and eight threads inside the same 15W power envelope. The jump from dual-core to quad-core offers a massive boost in performance for multi-threaded workloads like heavy multitasking, photo processing, and video encoding. As a result, the i7-8550U is a machine when it comes to juggling lots of jobs at once. However, Kaby Lake-R’s Intel UHD Graphics 620 GPU doesn’t offer much of a boost over the previous generation, and that’s where the Flip 14 kicks things up a notch. While most ultrabooks have to make do with integrated graphics, NVIDIA’s GeForce MX150 is on hand to offer a massive boost. 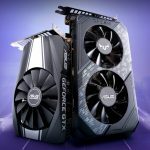 Aside from delivering a bump in performance for GPU-accelerated tasks in Photoshop, the discrete GPU speeds up tasks like 3D rendering, and it can even handle some light gaming. The MX150 is not geared for demanding games (if you want to play Doom or Overwatch, you’re better off with the ZenBook Pro UX550 and its more potent GeForce 1050 Ti), but it’s powerful enough for the classics if you feel like a break from work or school. 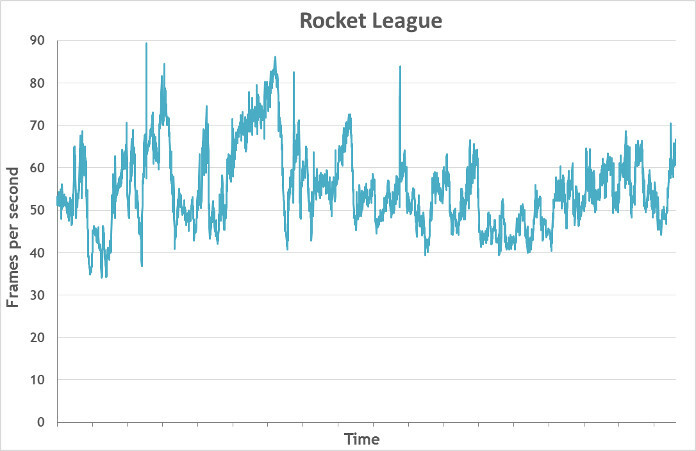 Rocket League is one of my go-tos when the afternoons start to drag, and the UX461UN managed to hover between 50 and 60 frames per second for the most part, with peaks and dips depending on the action. CS:GO was smooth sailing above 60 FPS, only dropping into the 50s when things got particularly hairy. I’m also trying to get into Dota 2 (because that’s what I need in my life, more games), and the Flip 14 had no problem showing me the ropes. With the settings on high, gameplay was consistently between 50 and 70 FPS, but often much higher. I don’t spend a lot of time gaming or working with video, so the Intel integrated graphics is plenty for my daily routine of Microsoft Office, Google Docs, light image editing in GIMP, and music streaming. NVIDIA’s Optimus Technology ensures the discrete GPU only kicks in when it’s needed, so the extra power is available for more graphically intense tasks but it’s not sucking down battery when the Intel UHD 620 can get the job done. With 16GB of RAM, the configuration I tested seamlessly switches back and forth between various productivity applications and my prison of endless Chrome tabs. The NVMe SSD ensures snappy load times for apps and files, and at 512GB it’s big enough that I don’t have to archive my RAW images to the cloud too often, or resort to backing up to external drives. If I didn’t enjoy the occasional game of Rocket League, I’d probably opt for the UX461UA, which reels in it a little with a Core i5-8250U, drops the discrete GPU, and takes the RAM down to 8GB and storage to 256GB. You still get four cores and eight threads, just with lower peak clocks, and the switch nets you $400 in savings. The only other sacrifice is the change to a SATA SSD, which has slower transfer speeds than the NVMe drive but offers similarly quick load times for applications and data, and still boots faster than I do in the mornings. 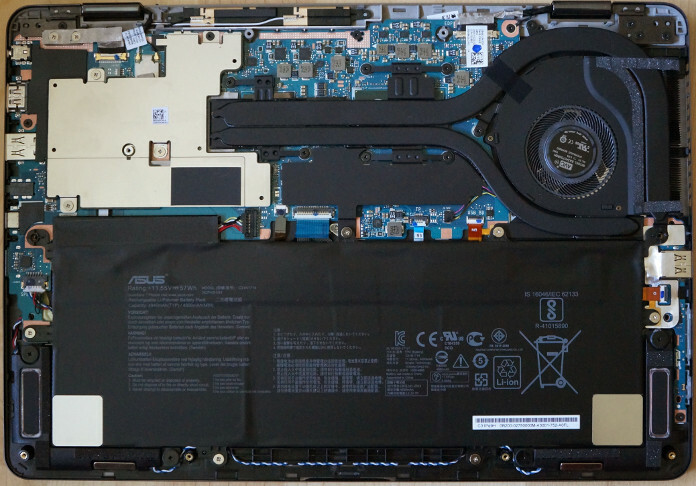 There’s really no reason for you to open up the UX461UN, but if you can’t resist a sneaky peeky, you’ll get a glimpse of the heatpipes and fan that work to keep the laptop from getting too hot, even under heavy loads. The fan is quiet, operating at a low hum, and only spins up when there’s a lot going on. Outside of an eyeful of thermals, there isn’t a whole lot to see. Everything is neatly packed to keep the chassis as compact as possible, but with 16GB of RAM and 512GB of NVMe storage, you don’t need to worry about upgrades anyway. One thing you can’t miss is the battery, which takes up almost the entire lower half of the chassis. The UX461UN handily lasts a full work day with no issues. For general productivity, I was able to start my day at 7:30 am and didn’t get the low battery warning until just after 5:00 pm. With fast charging, I was back above 90% by 6:30 pm and ready to take my laptop to the couch for the final episode of The Bachelor. The show is notorious for its interminable finales, and this year ABC gifted us with three torturous hours of unedited pseudo drama. I switched to stand mode halfway through to free up my hands to eat dinner, drink wine, and cover my eyes. The front-side edges are slightly tapered to give the downward firing speakers a little more breathing room, and there’s enough volume for watching your favorite shows, or cranking up the volume for some tunes while you work. 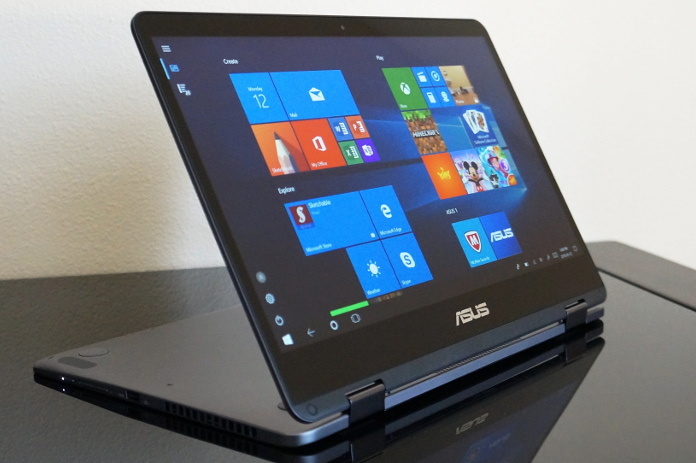 The ZenBook Flip 14 is a slick ultrabook with enough versatility to hold its own in class or a conference room. Wrapped in a stunning all-metal chassis, the baseline UX461UA is smartly configured for students in need of a tool that travels well. The beefier UX461UN kicks things into high gear with discrete graphics that deliver the extra performance necessary for professionals with heavier workloads, like photo and video editing, and even some gaming on the side. 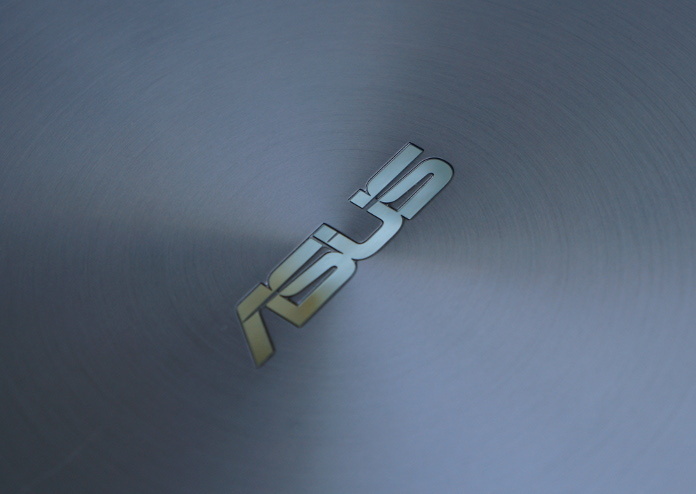 Both versions features a 360° hinge and ASUS Pen active stylus to ensure you can work any way you want. The fully loaded UX461UN-DS74T is priced at $1,299 and is available from the retailers listed in the table above. The UX461UA-DS51T ditches the discrete GPU, drops the RAM to 8GB, and swaps in 256GB of solid state storage to shave $400 off the price tag for users with smaller budgets and less demanding workloads. 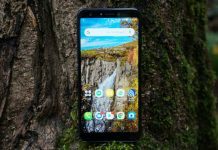 It’s available in both the US and Canada and is priced at $899 USD and $1,099 CAD. 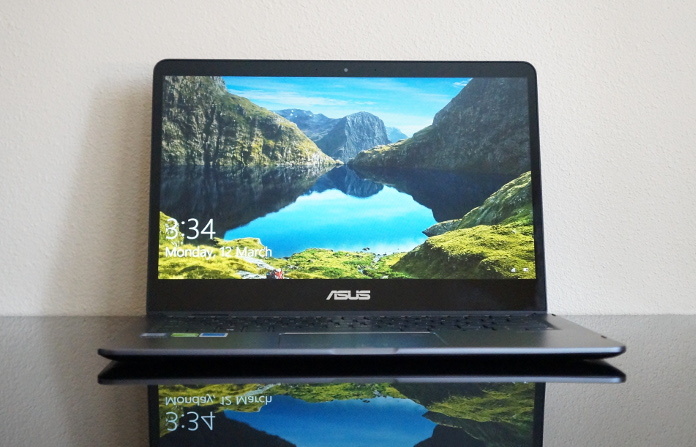 Check the table above for retailers selling the ZenBook Flip 14 in your region.